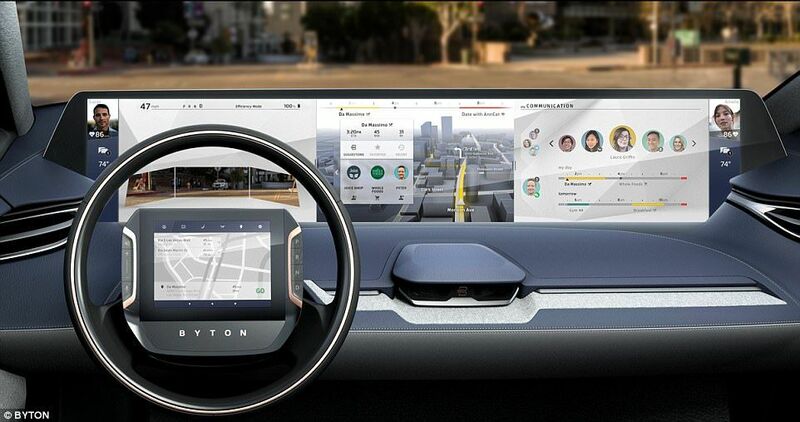 Byton has finally unveiled its first drivable prototype at the Consumer Electronics Show in Las Vegas today and claims it will perceive more than what a human being will ever do.It is equipped with gesture recognition, facial recognition, and even emotion recognition, to differentiate between the driver and passenger and personalize the rider experience. It also has a touch screen built right onto the steering wheel, in what the firm claims is a world first. This means the driver can always interact with the vehicle in the direct line of vision. 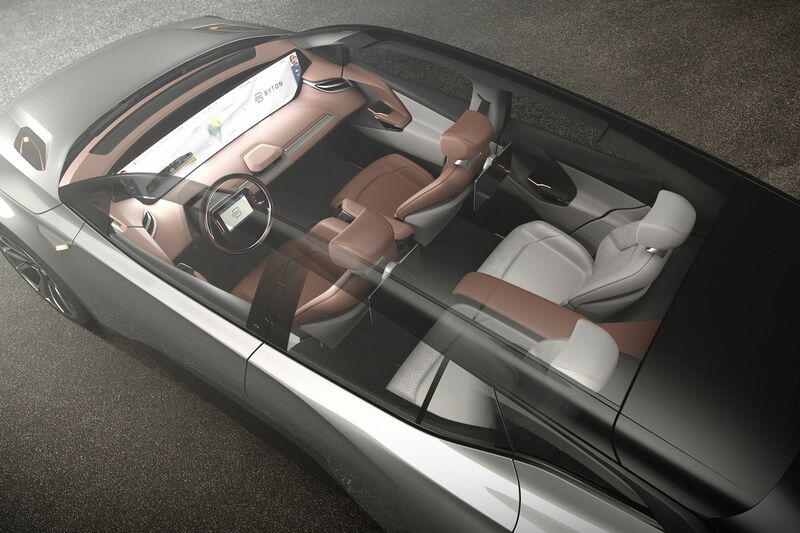 It also feature a massive 50 by 10 inch touchscreen display spanning the length of the dashboard. 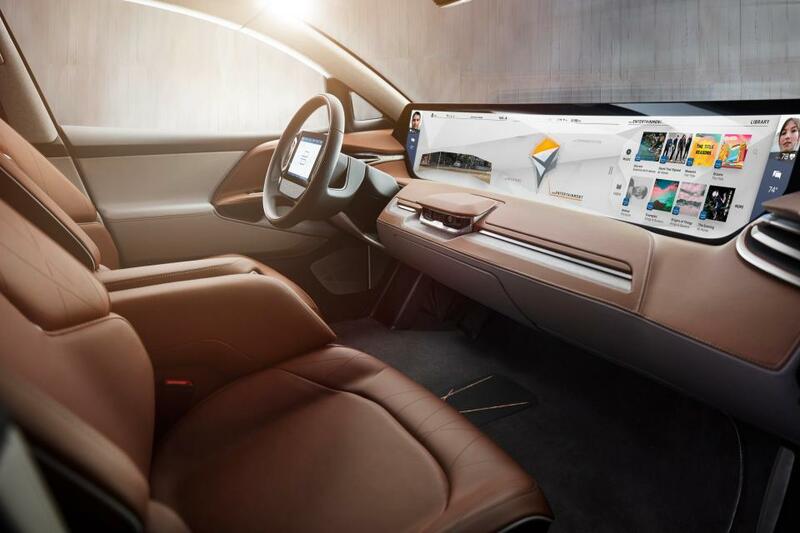 The car is designed to be smart and sleek, with invisible door handles and flat antennas integrated into the roof, It will also feature an array of cameras instead of side view mirrors. 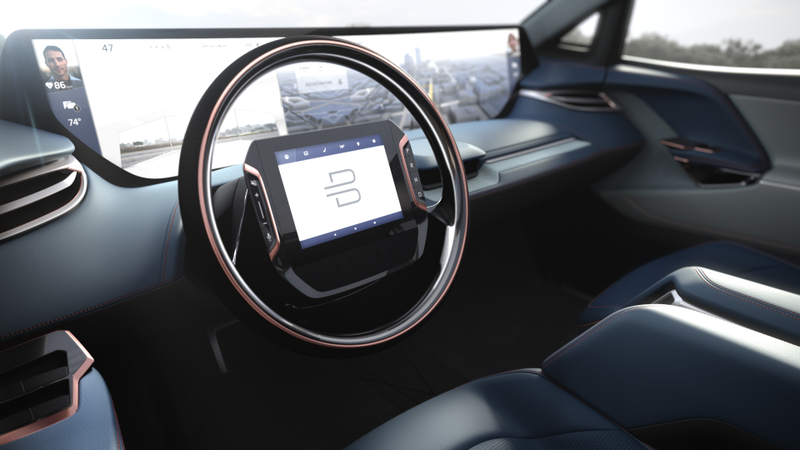 The firm says the new smart vehicle will be the fastest car on the data highway by providing users with constant connection, with a bandwidth roughly five times higher than conventional systems, at up to 1000Mb/s.This is also roughly 100 times faster than your smartphone. 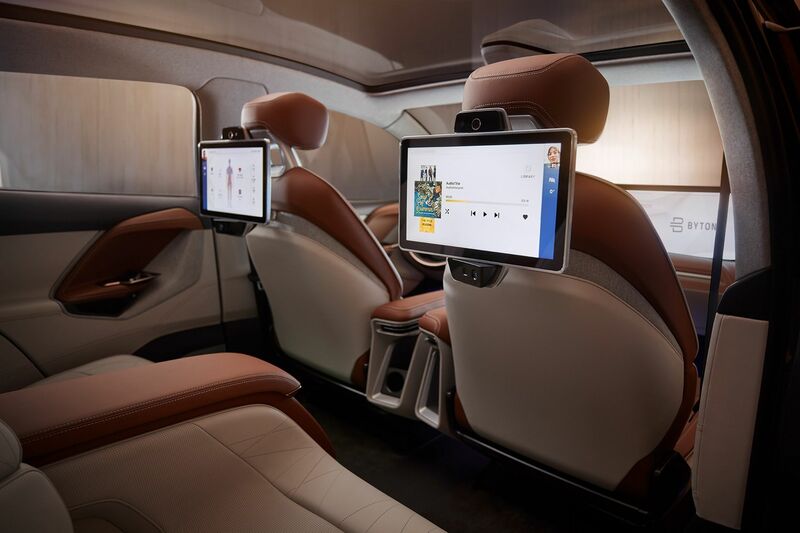 This means passengers can stream TV shows, play games, and video chat through the car.The cars will also be able to read traffic signs, monitor blind spots, and communicate with other cars using an array of sensors and advanced image processing. Two versions will be offered. A rear-wheel-drive model will pack a 71-kilowatt-hour battery pack that can help the vehicle travel 248.5 miles. This model features a single motor delivering 295 lb-ft of torque. The four-wheel-drive version boasts a 95-kWh battery and a driving range of up to 323 miles. It has a dual-motor setup good for 523 lb-ft.Recharging to 80 percent takes just 30 minutes in fast charge mode. The Nanjing-based company plans to roll out the mid-sized crossover vehicle with level 3 autonomy in China in 2019, starting at $45,000, before hitting the US and Europe in 2020.